Throw yourself into a crazy and amazing aquatic adventure with a host of unexpected obstacles that await you in the nearly 1500 metre-long journey along El Río Loco. 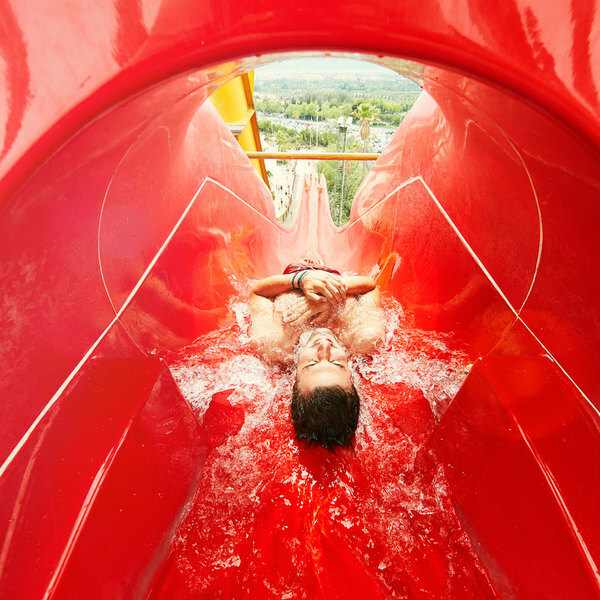 Face the raging current of the El Río Loco at PortAventura Caribe Aquatic Park and show everyone that you are the bravest pirate of the whole Caribbean Sea. Dare to enjoy the almost 1500 metre-journey that winds around the entire park. In this fun-filled and surprising journey through PortAventura’s El Río Loco your journey will be interrupted by screens of falling water, invigorating vapours, pressurised jets, unexpected bubbles and, above all, many cross currents. Grab your float and dive into the most refreshing voyage ever by taking on the adventurous crossing of El Río Loco at PortAventura. With four exits and entrances to the attraction, you can use the river to quickly cross to the other side of PortAventura Caribe Aquatic Parkk, if you’re brave enough to take on the raging waters filled with surprises along the way. In PortAventura Caribe Aquatic Park the legend of this area of the Caribbean is recreated in a pool featuring the most challenging waves. Do you dare to surf them? 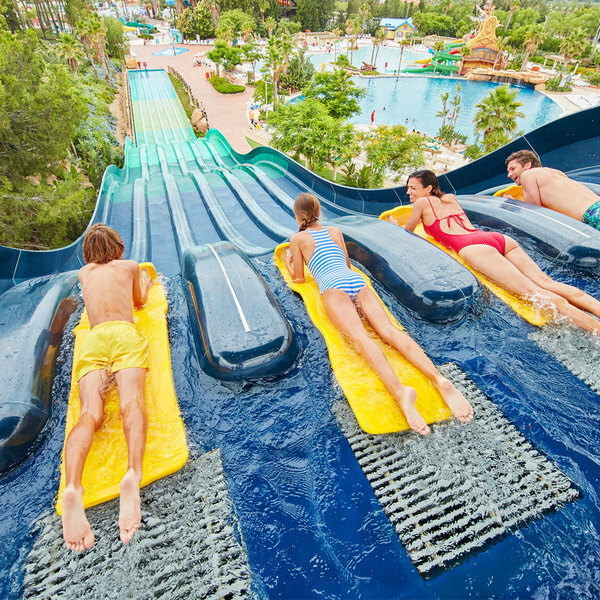 Take on the challenge of this new water attraction at PortAventura Caribe Aquatic Park by gliding 100 metres down this multi-bump slide. Lie down on top of a mat that will launch you forwards at incredible speeds as you negotiate vertical drops and refreshing waterfalls.